Amy, from Newcastle North – “I LOVE when we explore the mind-body connection through the bola bell in our MummyNatal classes. I also love how surprised mums are at how effective sounding can be, and I love the difference between mums at the start and at the end of the class – they look (and tell me they feel) so much more relaxed, calm and prepared! And of course I love how the tools that we teach to our mums-to-be are so useful and effective to US too in all aspects of life, not just birth. Well, the MummyNatal teachers sound like they have a few tricks up their sleeves when it comes to feeling calm, relaxed and mindful! If it works for the teachers, imagine how good it feels for the mums-to-be! We’d love to hear from you, Mums. Have you attended a MummyNatal class? How did it feel, and what was your favourite bit? Laura, from Romf ord and Thurrock – “I love seeing the new parents and sharing their early parenting journey with them. I like normalising their feelings, seeing how the babies respond to me (my singing voice is enchanting, apparently! ), and hearing what a difference the classes have made to the baby (and therefore the parents). Sara, from West London – “I love the BabyNatal First Aid for Babies – it’s so important to enable parents to have the skills to effectively deal with an emergency. 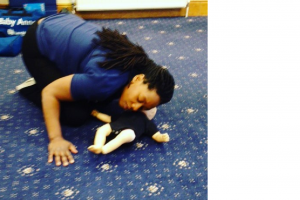 Not knowing what to do in emergency situations can easily lead to panic and to doing the wrong thing, so I think it’s fundamental that as parents we attend courses to cover first aid skills in case we ever need them for our little ones”. That’s quite a variety there! And it’s really great to hear, first hand from the teachers, that our classes are making such a positive different to the parents we teach them too. If you’re thinking of becoming part of this amazing journey and joining us here at The Natal Family, please contact Steph and Dean by emailing training@babynatal.co.uk – they’ll be glad to contact you with more info! This entry was posted in Uncategorized and tagged antenatal, Antenatal classes, antenatal education, antenatal teacher training, babies, baby advice, babynatal, birth, birth classes, birth preparation, career change, daddynatal, empowerment, mindfulness, MummyNatal, mums, parenting, parenting classes, pregnancy, relaxation, self esteem, The Natal Family, work life balance by steph. Bookmark the permalink.